Sometimes it seems that when it rains it pours and nowhere else is that as relevant as it is in Vancouver, the rainy city. In this case I am thinking more about knitting trends than actual precipitation but it works every which way today. Sometimes patterns that wouldn’t normally strike my interest are suddenly very appealing indeed: when I see them knit up in a lovely yarn. This week at Urban Yarns we had quite a bit of show and tell and I think my favorite is the Pasha Hat by Jane Richmond. Both Amanda and Kynna knit this lacy wonder (apparently they were separately inspired). Just like the toy craze and our somewhat failed reindeer sweater knit along both customers and staff at UY are often inspired by each other to knit up a pleasing pattern. It’s one thing to see a photo of a knitted project or to read through a pattern but you just really never know quite how something is going to turn out. This is especially true when you are making any sort of substitution but even just changing the knitter can alter the way a pattern comes out. This isn’t necessarily a problem, I think it’s a good thing really. Patterns are flexible and unique every time they are knit this way and I think that’s wonderful. 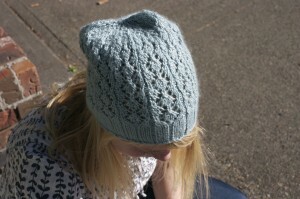 Both Kynna and Amanda knit up a beautiful hat with really different results, just using different yarns. Amanda’s hat has a kind of vintage quality and the 70’s mustard colour while Kynna’s has sort of a wintery look in the icy blue. I quite like them both and I like them even better once I gave them a feel. Oh, they are soooooo soft! It’s like touching a cloud. 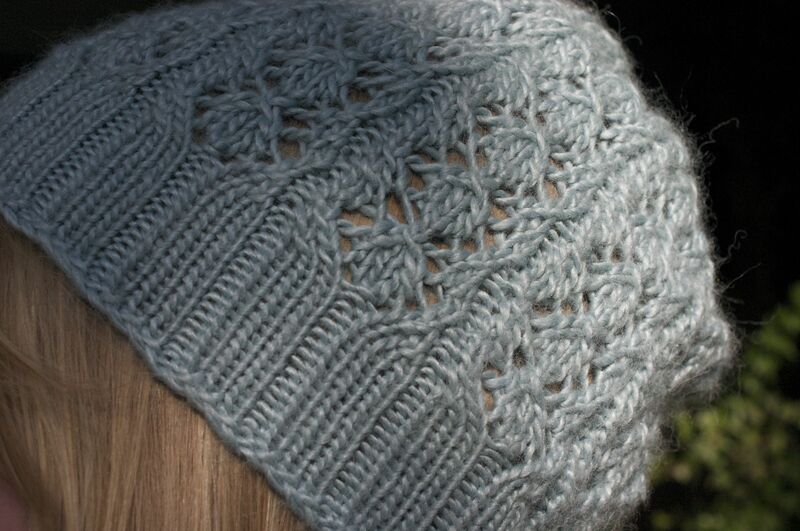 Amanda’s yarn is a single skein of the Aslan Trends Royal Alpaca, a new addition to the shop. It comes in a range of lovely colours for you to try out your own colour scheme. 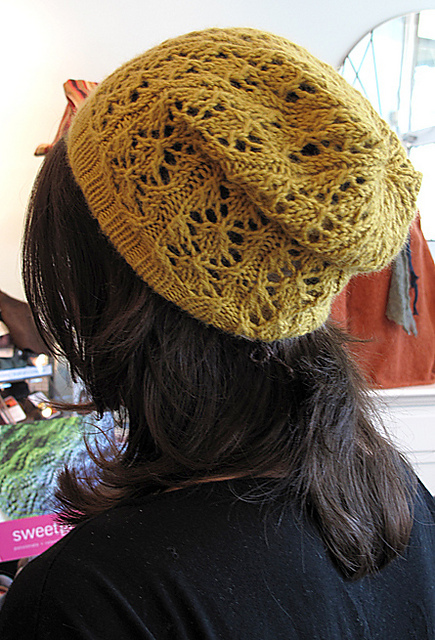 Kynna knit hers up in Debbie Bliss Andes, a lovely silk blend with a loose spin. The hat knit up beautifully in both yarns and there are, of course, many to choose from! This entry was posted on Saturday, October 23rd, 2010 at 11:21 pm	and is filed under Uncategorized. You can follow any responses to this entry through the RSS 2.0 feed. Both comments and pings are currently closed. Oh man, fail! It’s still a nice hat though, I stand by that!